The organisation was opened as a charity set up to support people with a disability in 1992. Originally called Milton Keynes Disability Information Service the organisation later changed its name to MK CIL. Originally set up to provide information, advice and support to people with a disability about equipment, MK CIL had an adapted flat that allowed people to look around and see what equipment was available to them. The original chairperson Chris Checkley is still actively involved in the running of MK CIL and sits on the Board of Trustees in 2014. 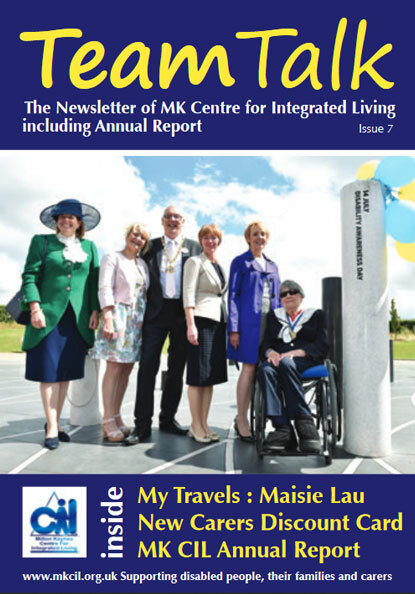 Many of the Volunteers and Staff members within MK CIL have worked with us for several years and have seen the organisation go from strength to strength.